Get LOWE COUNTRY: THE SONGS OF NICK LOWE featuring covers by Chatham County Line, Caitlin Rose, Ron Sexsmith, Hayes Carll and more. Nick Lowe has mined the various strains of American popular music, purposefully ignoring the lines demarking separate genres. Among the most prevalent influences on his style has been country music. 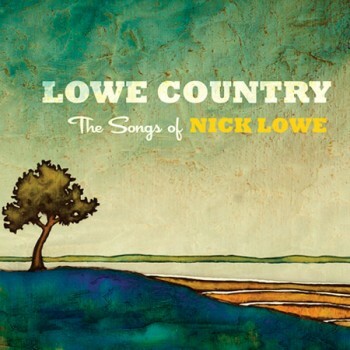 On Lowe Country: The Songs of Nick Lowe (Fiesta Red Records),13 artists – most of them up-and-coming and/or left-of-center – interpret songs from Lowe’s four and a half decade career. These artists are the leading lights of a new generation who use classic country music as a springboard for their unique musical explorations. In these new, never before released tunes, they vividly display Lowe’s trademarks: catchy melodies; clever word play and wit; a sense of fun and musical adventure; and the appropriate delivery of a lyric, whether it be outlandish or heartbreaking. The first 25 fans to order Lowe Country: The Songs of Nick Lowe on CD or LP will receive a FREE autographed poster featuring signatures from Robert Ellis, Colin Gilmore, Erin Enderlin, Caitlin Rose, Hayes Carll, Ron Sexsmith, Amanda Shires, Griffin House and members of Parson Red Heads! Click the player below to stream Chatham County Line’s cover of “Heart of the City” now. You can also now stream the full release now over at Paste.com and check out a video of The Unsinkable Boxer covering “When I Write the Book” at AmericanSongwriter.com. Chatham County Line – Sharing The Covers available for Pre-Order now! Stereogum premieres Nick Lowe’s “Stoplight Roses” video featuring Paul F. Tompkins + US tour kicks off this week. Eleni Mandell to tour with Nick Lowe.